In Italy, most meals end with fruit, Italian cookies and sweet biscuits, along with a good espresso or glass of wine! The Italian cookies and sweet biscuits are usually created out of age-old Italian cookie recipes as are most of mine. 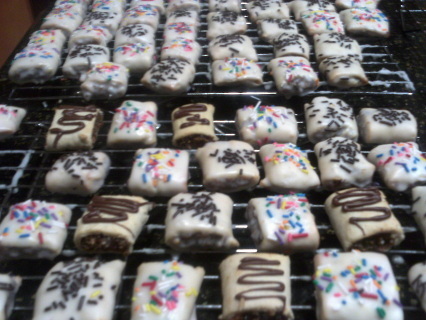 All of my Italian cookies are homemade ("Pasticcini Casalinghi”) and no two cookies are the exact same size or weight. 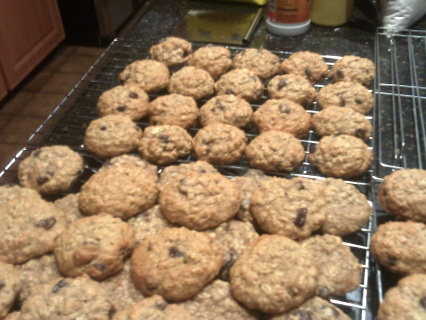 There are approximately 18 - 25 cookies per pound. If you don't see your favorite cookie listed, please be sure to inquire if it can be made for you! to create a small line that are truly delicious! Please look for *****Notation in the product description. Please note that all prices are for direct pick-up and do not include shipping or delivery charges. 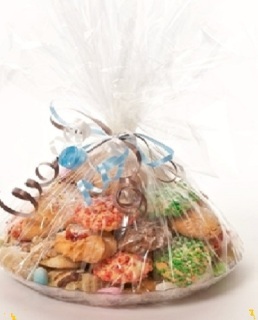 In order to have your cookies delivered locally, please note that there will be a minimum $20.00 delivery charge. Shipping is additional and is calculated at check-out. Cookie trays larger than three pounds will be priced individually by Annabelle. For all cookie trays with Venetian Layer Cookies, Sposini, Lemon Biscottini, primarily Almond Macaroons, or Annabelle's Signature Coconut Macaroons, an additional $2.00 charge does apply. For Custom Tray orders containing "only" particular types of cookies, an additional fee will apply. 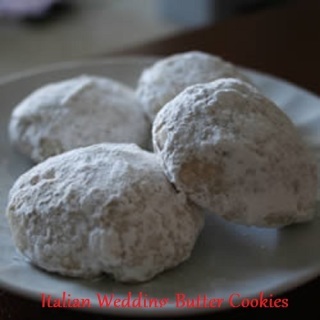 One delicious pound of a variety of Annabelle's Italian Cookies, including Cappuccino Cookies, Coconut-Lemon Bliss, Iced Italian Anisette, Verdacchio (Pistachio-Cherry), and Wedding Butter Cookies! Special pricing does apply if you wish to order only a particular kind of cookie. One delicious pound of a variety of Annabelle's Italian Cookies, including Almond Macaroons, Amaretto Cookies, Cucidati, Lemon Biscottini, , and Sposini. 1 lb. 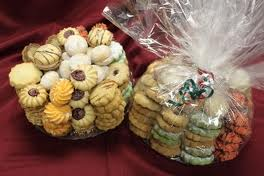 "Annabelle's Choice" Mixed Assorted Tray that consists of a few selections of both Regular and Premium Italian Cookies, Italian-American Cookies, and other non-listed cookies that have been freshly baked at the time of ordering from our bakery. 1 lb. Assorted American Cookie Tray that consists of Chocolate Chip, Italian-American Butter, Oatmeal Raisin, Peanut Butter, and Strawberry Chocolate Chip. 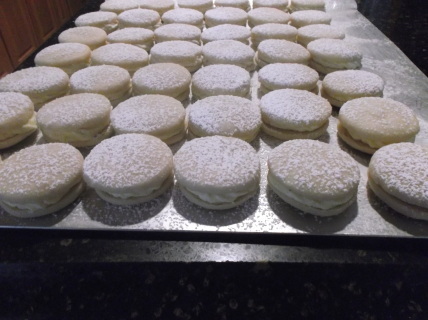 Three delicious pounds of a variety of Annabelle's Italian Cookies, including Macaroons, Anisette Cookies, Butter Cookies, Cucidati, Lemon-Coconut Bliss Cookies, and more! 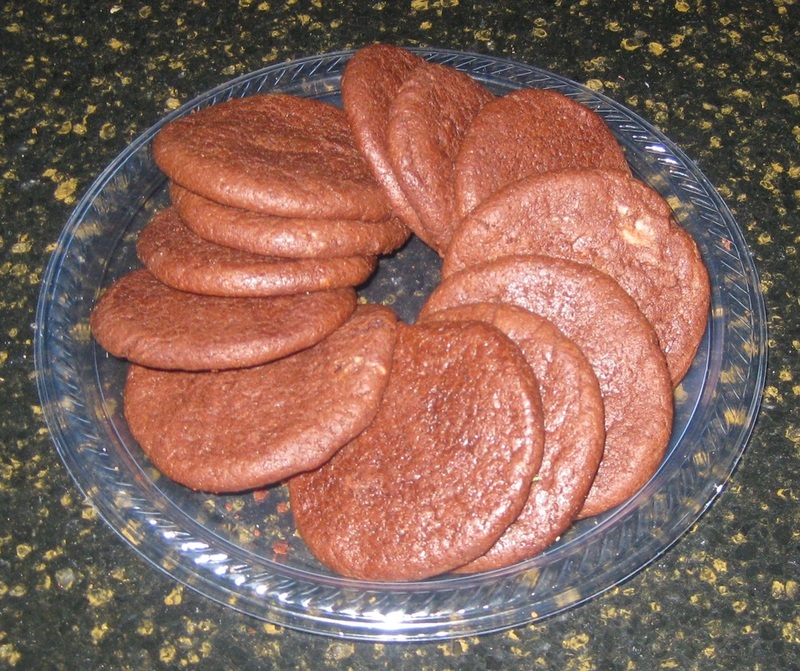 When ordering the three-pound tray, you can select up to three different kinds of cookies to be included on your tray! Special pricing does apply if you wish to order only particular kinds of cookies. Filled with Annabelle's special blended Almond-paste, this cookie is sure to take you back in time! 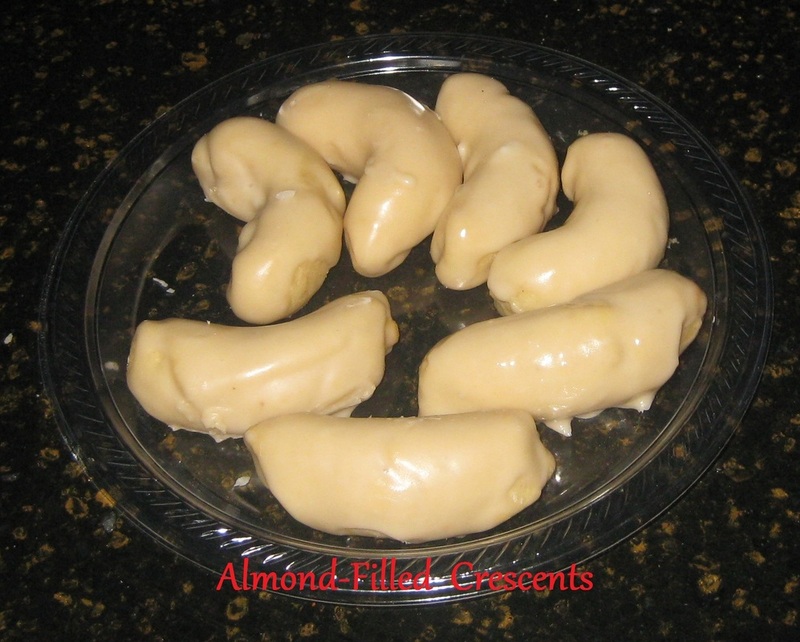 Iced with Nana's powder-sugar icing, these almond-filled crescent cookies are sure to be gobbled up in no time! 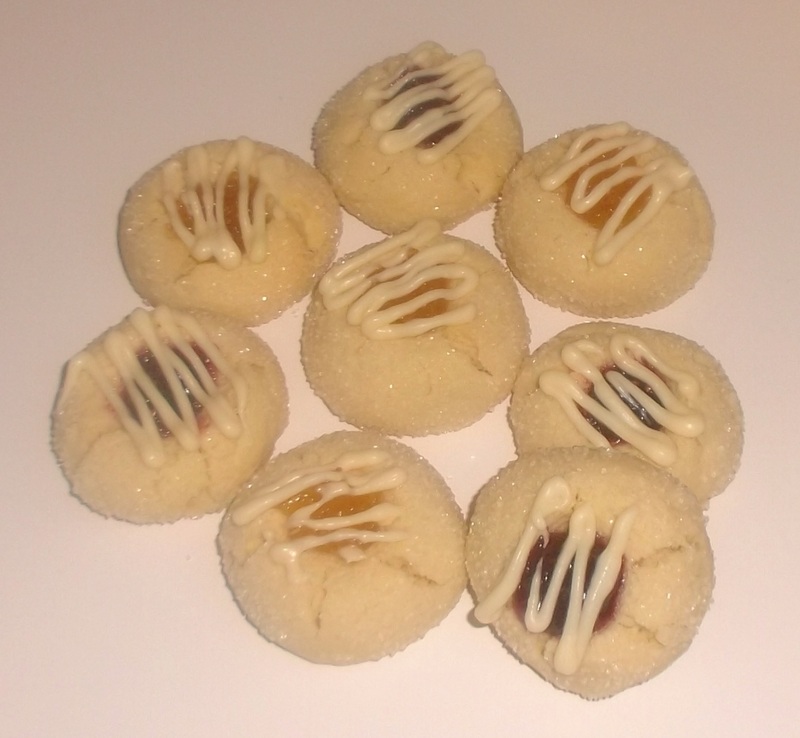 A soft cookie that is flavored with amaretto and topped with a candied cherry and a white chocolate drizzle. 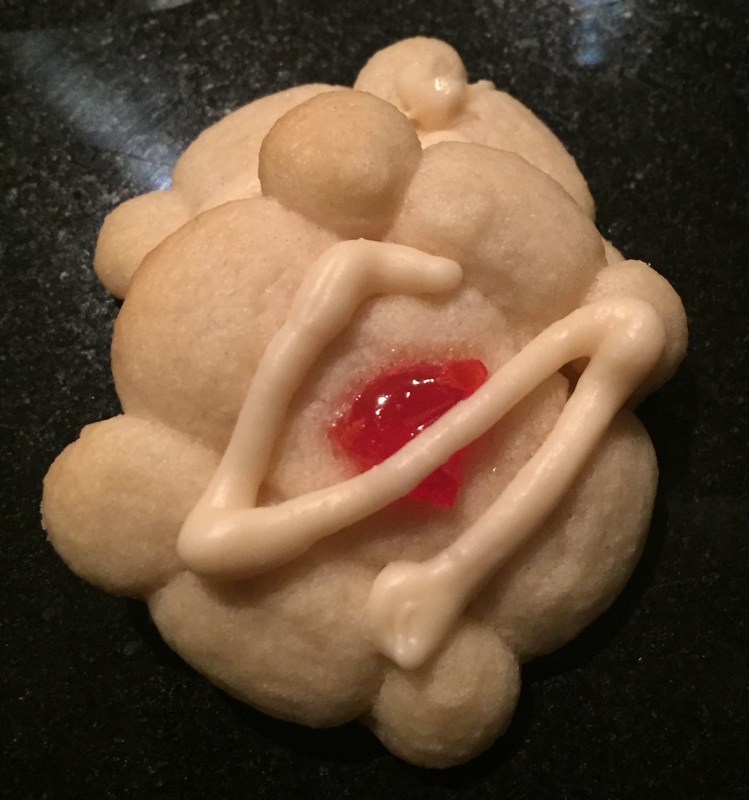 This cookie simply melts in your mouth! The Anginetti cookie is a very traditional Italian Lemon cookie that offers just the right sweetness and lemon flavor. Somewhat of a crunchy cookie with its lemon-glaze, you will surely love each bite! 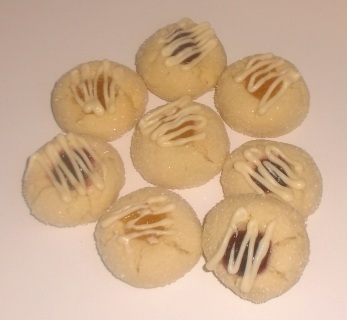 A delicate Italian butter cookie that is complimented by Anise flavoring and centered with a small bit of candied cherry. 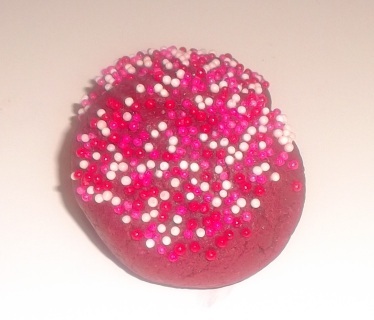 You would never know this cookie is gluten-free as it is filled with both anise and chocolate flavor! 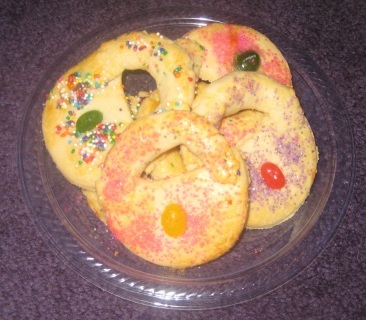 These cookies simply melt in your mouth! Made with a combination of Bean and Sorghum Flours. 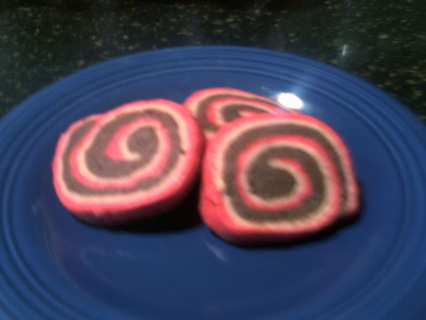 Truly a one-of-a-kind cookie! Heavenly lips sealed with a chocolate smile. Baci di dama Italian cookies are the classic Italian cookies said to originate in Tortona. Made with hazelnuts and almonds, and then sandwiched together with a dark chocolate, these cookies taste simply wonderful with espresso. *Our Baci di Dama Italian cookies are enhanced with green food coloring as an added appeal. 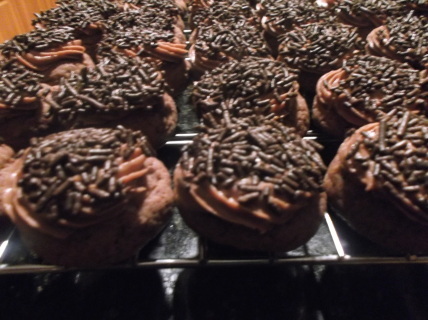 The Bistotŏ is a melt-in-your-mouth double chocolate walnut cookie that is filled with walnuts and lots of chocolatey flavor and then topped off with chocolate sprinkles. 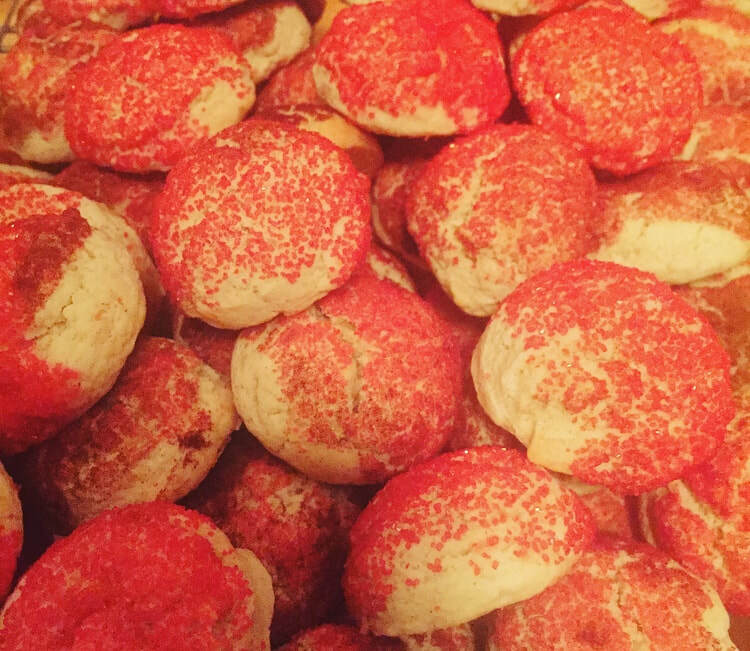 Truly a one-of-a-kind cookie that is sure to please your taste buds! 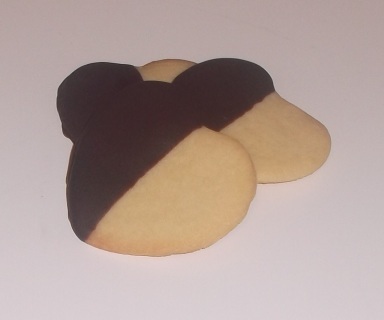 A melt-in-your-Mouth buttery cookie with just a hint of orange flavor and then half is dipped in delicious chocolate! You simply can't eat just one! A very buttery cookie that is filled with walnuts and then drizzled with dark chocolate. A delicious chocolate brownie-like base with a peanut butter center and then topped with a dark chocolate icing! 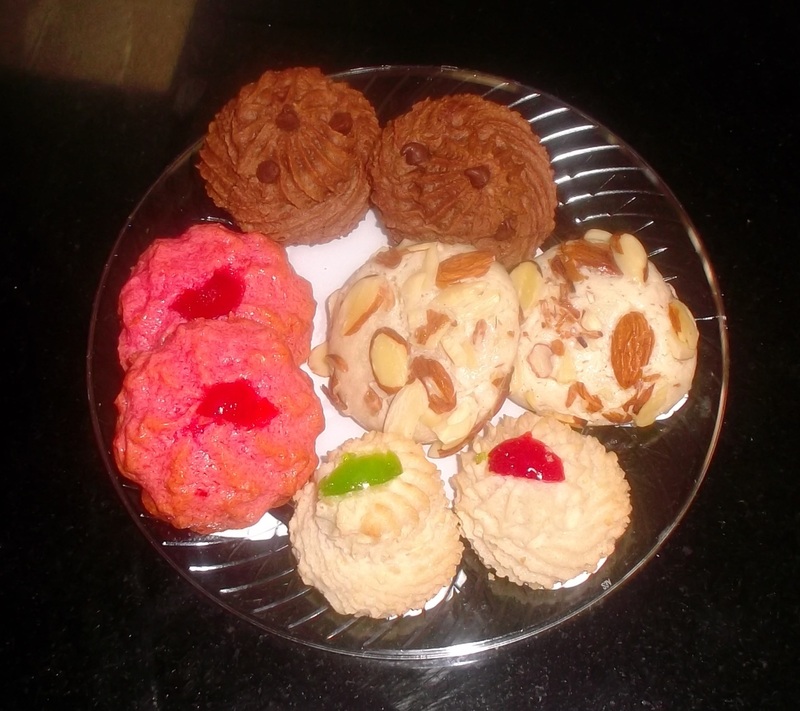 Soft and delightful cookies that come in a variety of shapes. 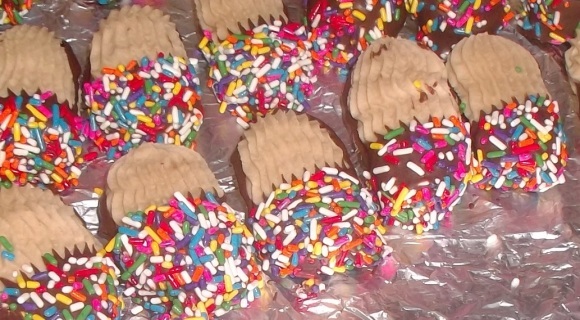 Some are colored and some are topped with sprinkles. 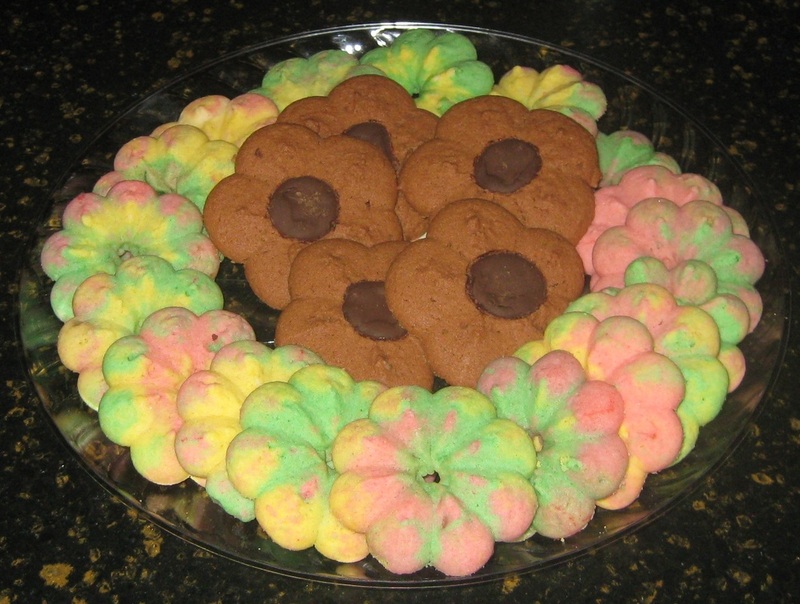 Shown here are Annabelle's colored and chocolate Italian butter cookies. 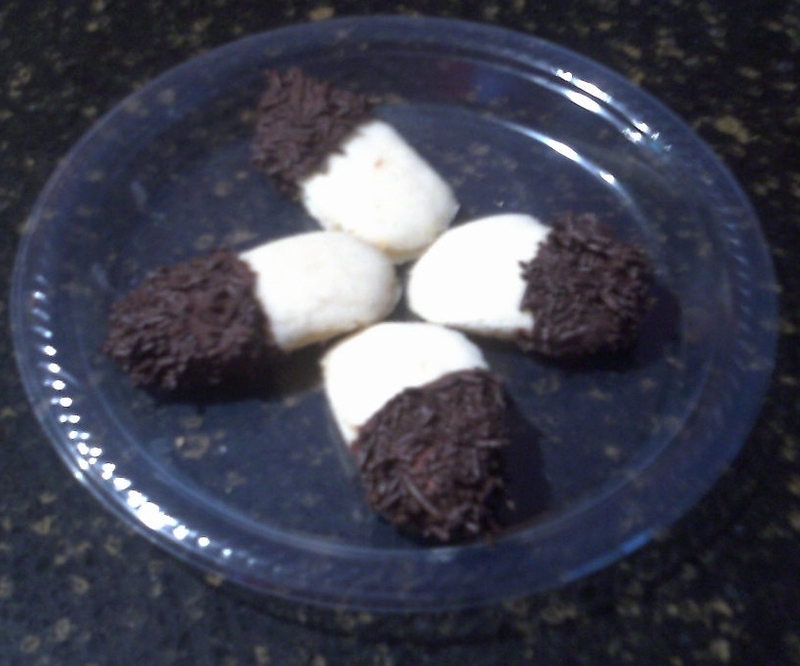 When ordering, please specify if you would like them plain with sprinkles or colored, or chocolate. If no specification is made, then Annabelle reserves the right to make your selection for you! 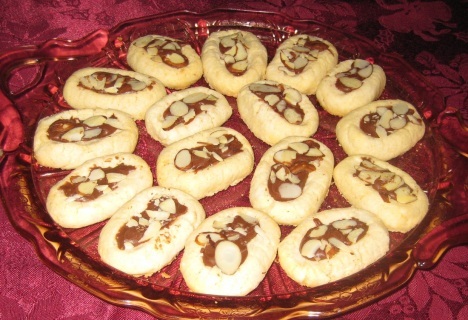 These are soft Almond flavored cookies that are crisp on the outside and tender on the inside and then filled with chocolate and topped with sliced Almonds. Soft and chewy Chocolate Chip and Double Chocolate Chip Cookies (Made with Ghirardelli chocolate). 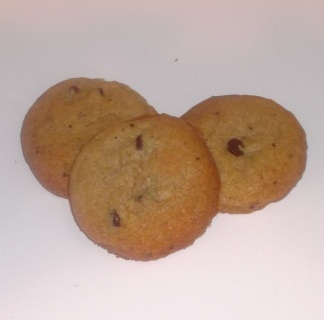 Absolutely the best Chocolate Chip Cookies you will ever taste!!!! 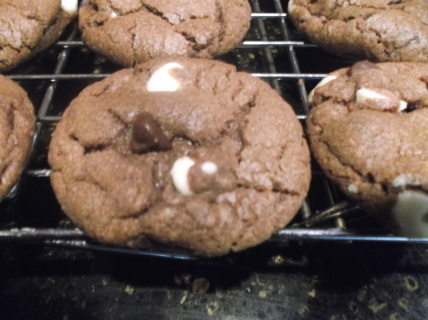 When ordering Double Chocolate chip, please be sure to click the "Add to Cart" button below. 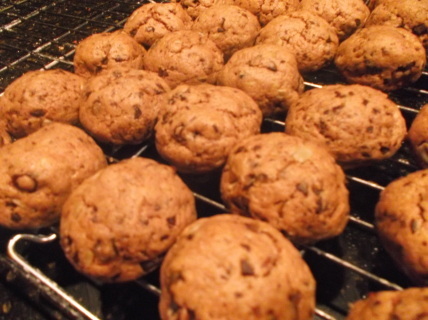 These fruity chocolate cookies are almost like eating a chocolate fruit cake. Absolutely yummy! 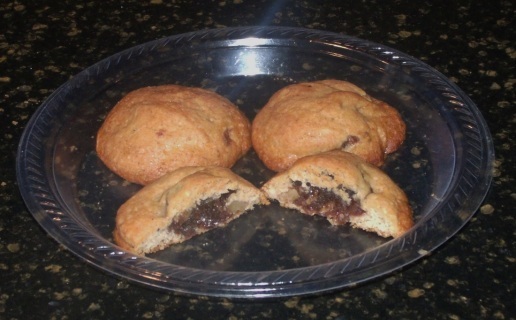 A soft chocolatey raisin cookie that offers a surprising peppered bite. Topped with a chocolate icing and chocolate sprinkles. These will leave you wanting more! 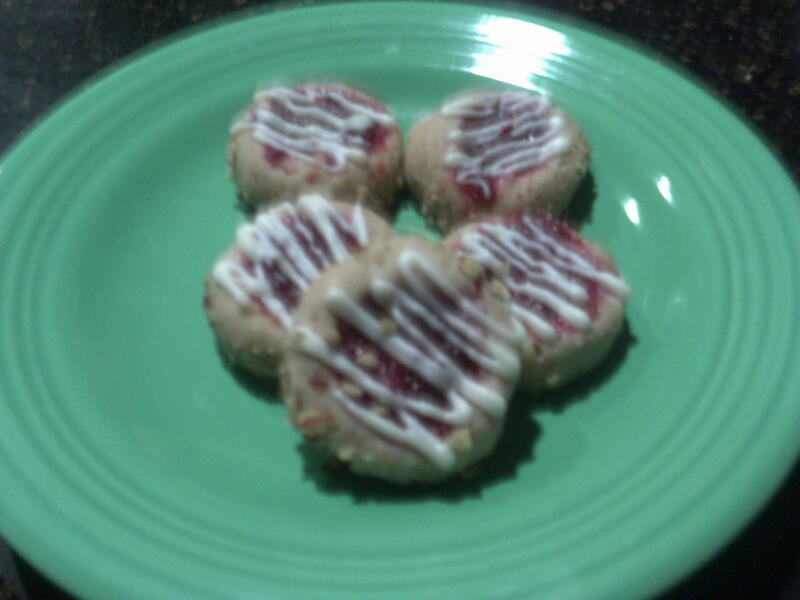 A soft thumbprint pecan-cookie base filled with a Cranberry Jam filling and then drizzled with white chocolate. 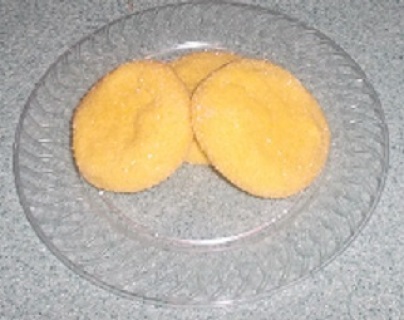 **Cookies are seasonal - Please inquire if they are available before ordering"
A soft "creamy" kinda of cookie that is very similar to a Snickerdoodle. 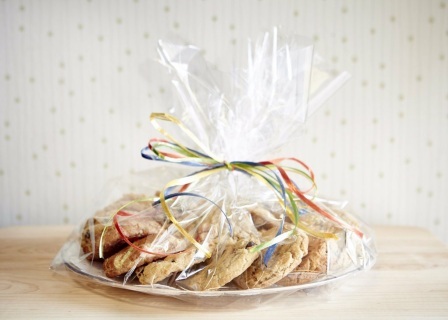 With a cinnamon and sugar topping, these cookies are truly one of a kind! 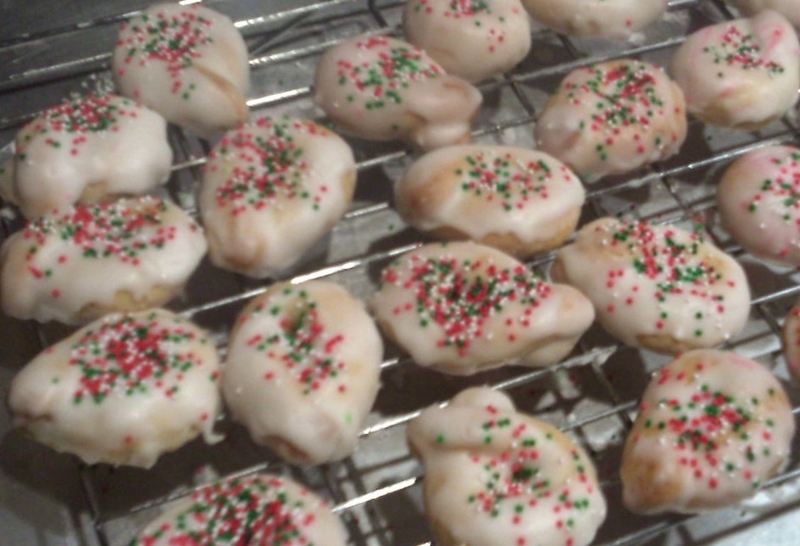 The Cucidati (Sicilian Fig Cookies) are traditionally served at Christmas time, but can be enjoyed anytime of year! These luscious little pastries are filled with a delectable fig-paste blend that includes walnuts, dates, apricot, raisins and black raspberry brandy. Topped with either a chocolate drizzle or iced with sprinkles, the Cucidati is sure to please fig lovers! A soft fig cookie that is filled with bits of rum-soaked figs and dates, and walnuts. With a hint of cloves and cinnamon, this cookie is absolutely delicious! 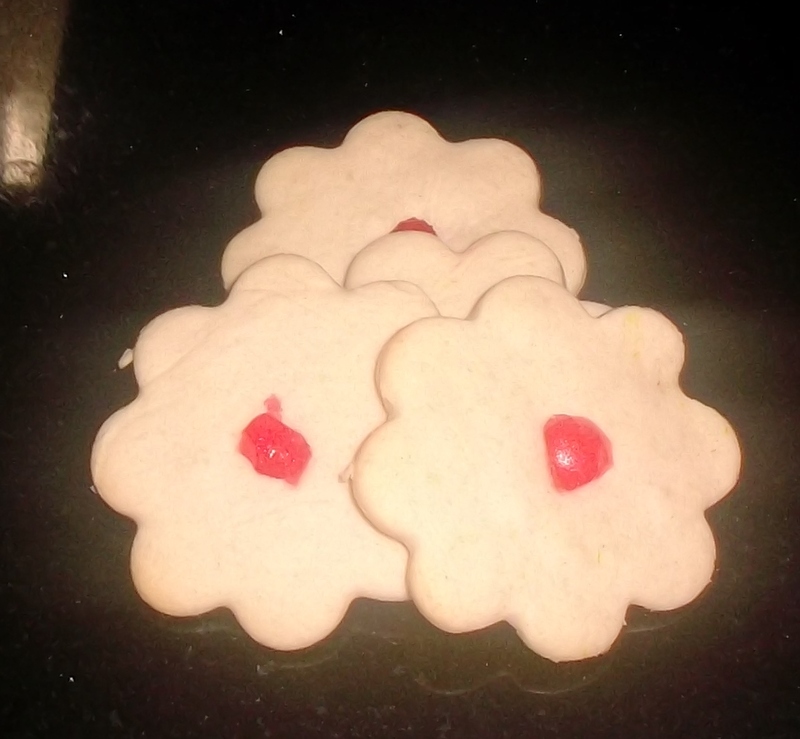 An eggless cookie that simply melts in your mouth! 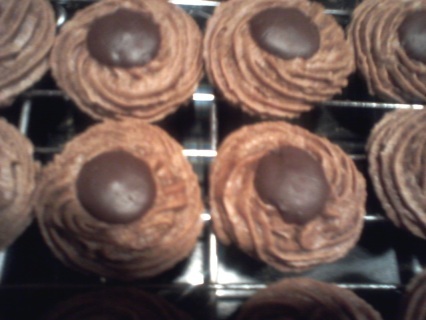 Chocolate and Nutella lovers will surely delight with every bite! Delicious Almond Chocolate Macaroons that are Coffee Flavored and have a chocolate chip center. 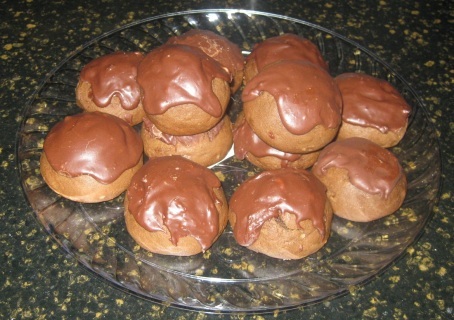 A sugar-free chocolate cookie that is filled with chocolately goodness! Each cookie contains only 97 Calories, 4.4g. Fat, and 12.4g Carbs. These are cake-like cookies that have a nice coconut flavor to them and a hint of anise flavoring. 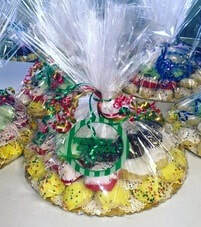 Great to serve at tea parties or at Christmas or Easter time!! These chewy-lemony flavored cookies with the sweetness of coconut added to them are sure to be an absolute delight! 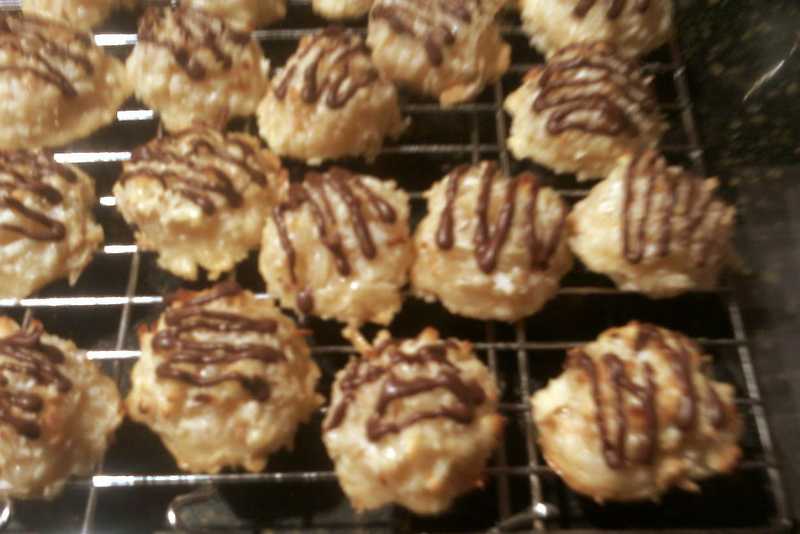 A very creamy coconut macaroons that is made from real "coconut cream" and coconut flakes. Absolutely delicious! Annabelle's Signature Italian Coconut Macaroons are covered in white** and dark chocolate and are simply too hard to resist. 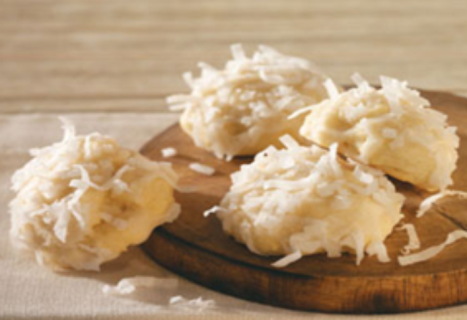 For those who love the sweetness of coconut mixed with chocolate, you can't go wrong with Annabelle's Signature Italian Coconut Macaroons! 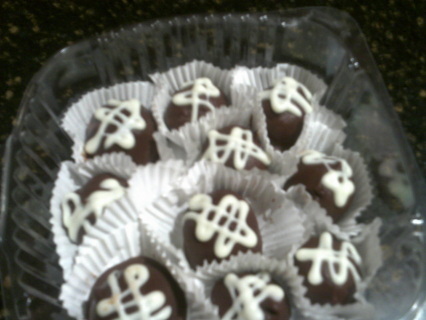 **Note, the white chocolate can be specially colored upon request. 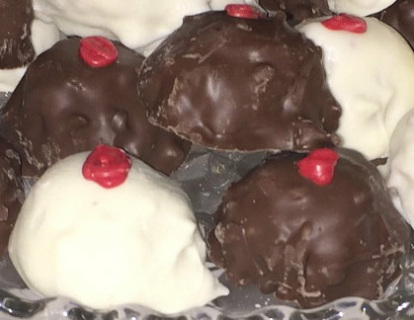 Please specify when ordering by sending a messageif you prefer only white or dark chocolate, otherwise you will receive a combination of both. 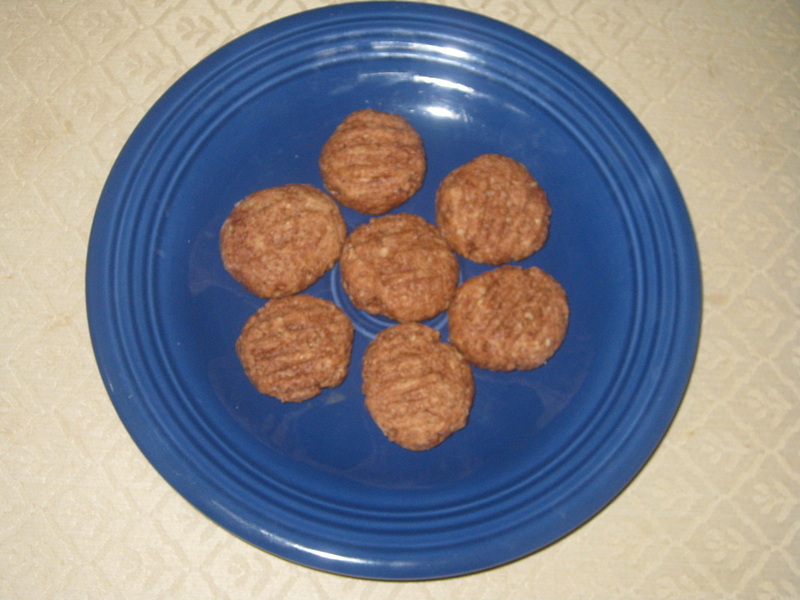 Soft and delicious spiced cookies with the "surprisingly" incredible date-nut filling that is out-of-this world! 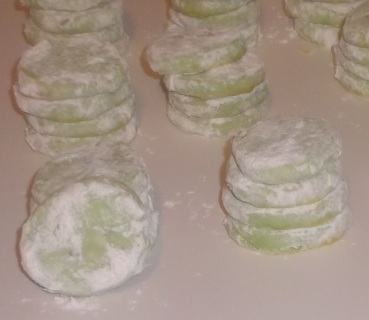 Butter Cookies shaped into a leaf and then filled with a creamy chocolate mint filling. Other colors are available. Please email Annabelle to inquire about other colors. 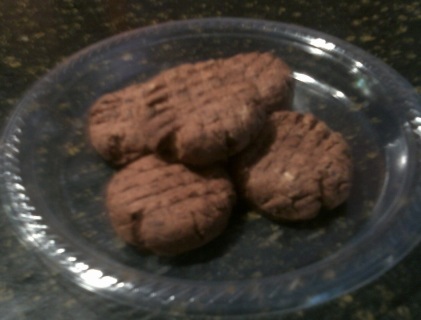 Please note that these cookies are approximately 2" in length. 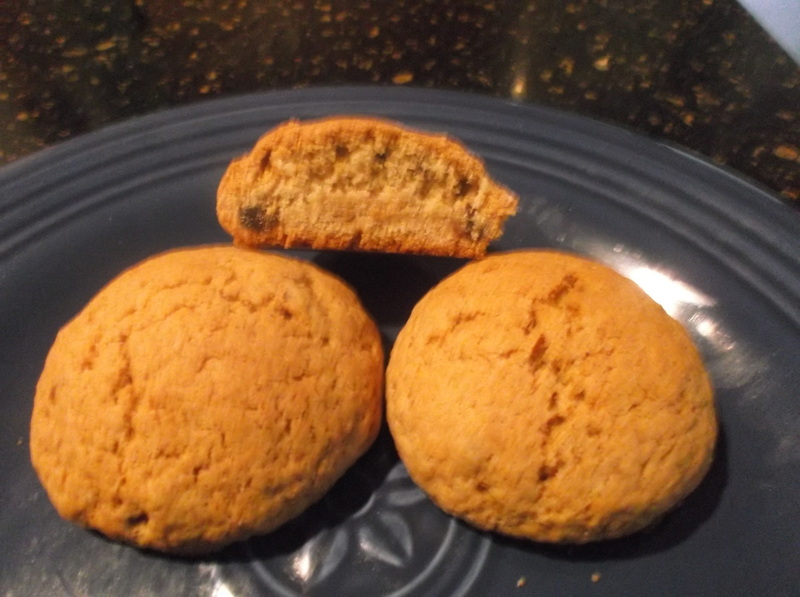 Delicious and somewhat crunchy cookie that is filled with Anisette flavor. Iced and sprinkled. 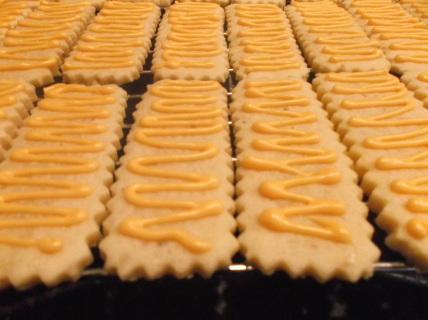 Anise lovers will not just stop at one! 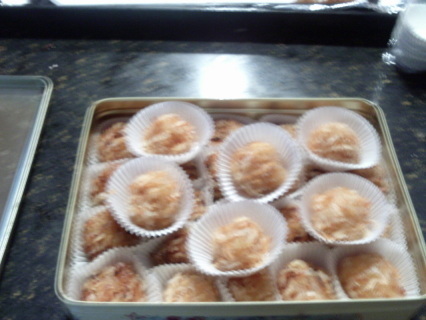 Annabelle's Limoneo are delectable little lemony treats. Two cookies sandwiched together with a creamy lemon filling and then dusted with powdered sugar. One part chocolate, one part almond, and one part cherry, Annabelle's Neapolitan cookies are truly delicious! Soft and chewy oatmeal raisin cookies that are packed with raisins and have just a hint of cinnamon and maple. 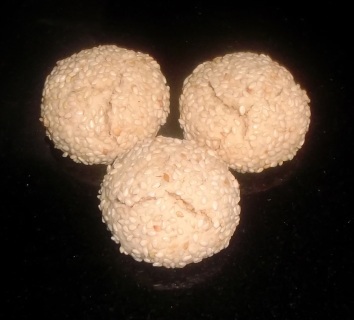 Truly a unique twist to your traditional oatmeal raisin cookie. You never will want any other! 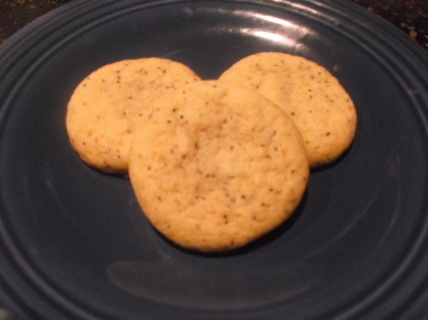 A soft cookie that is flavored with fresh orange zest and poppy seeds. 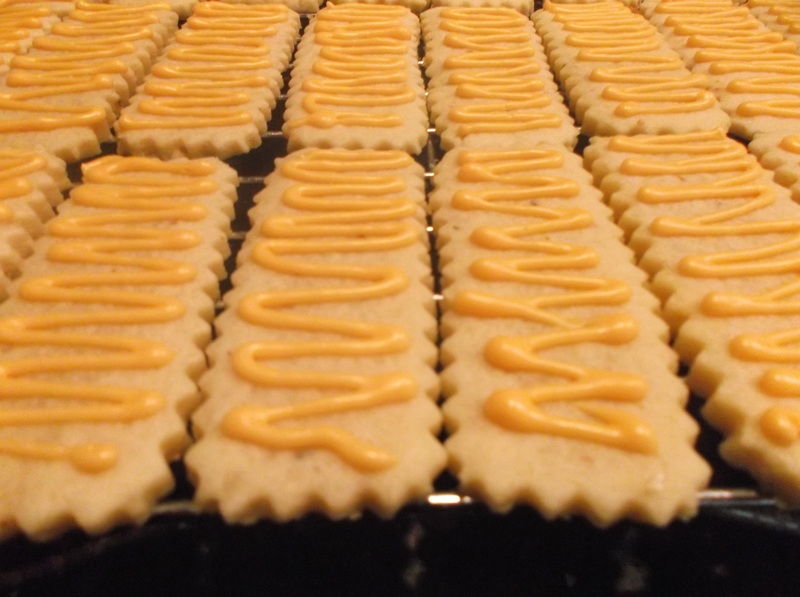 These Orange Zest Sugar cookies simply melt in your melt just like a creamsicle. 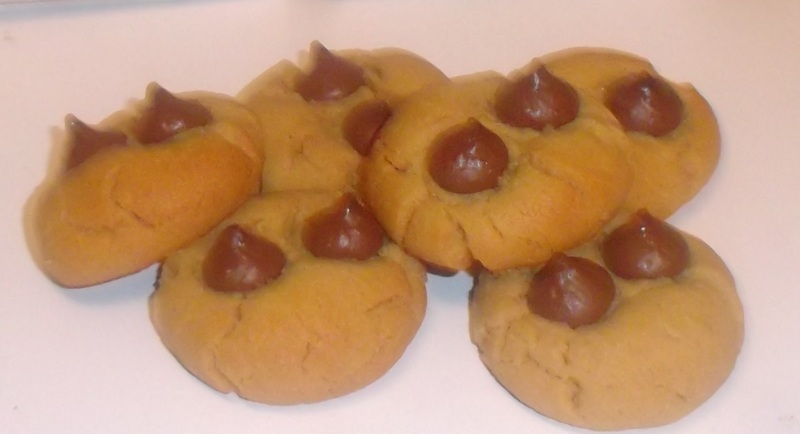 These delicious Peanut Butter Blossoms are filled with peanutty goodness and then topped with two mini Hershey's kisses. Best of all, these cookies are ****GLUTEN-FREE! 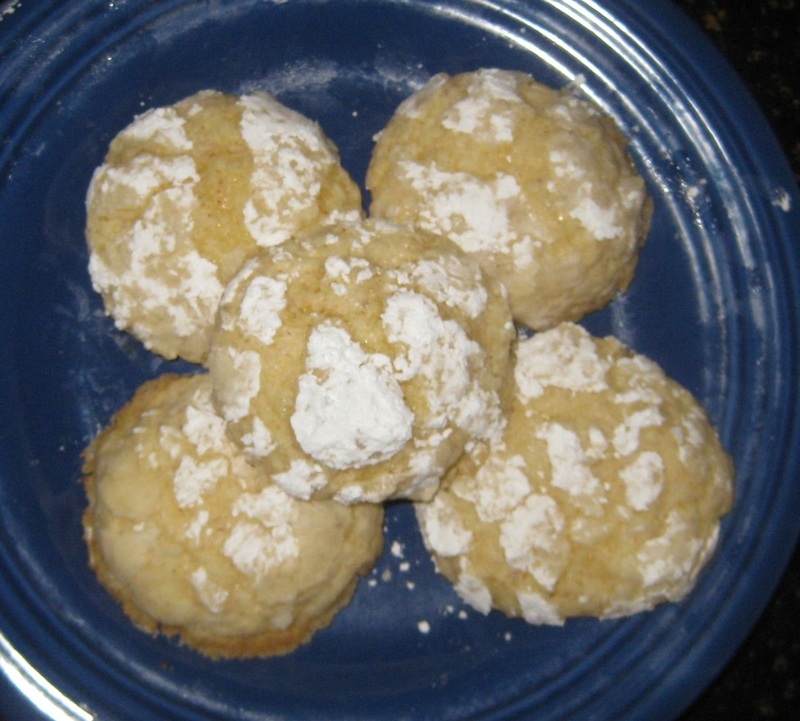 These lemony cookies are like a ray of sunshine in your mouth as they burst with citrus flavor! 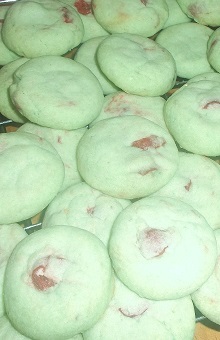 Chewy with just a slight crunch on the outside from the sanding sugar. Lemon lovers won't be able to put these down! Blue, Green, Purple, Orange and yellow Rainbow sugar cookies. 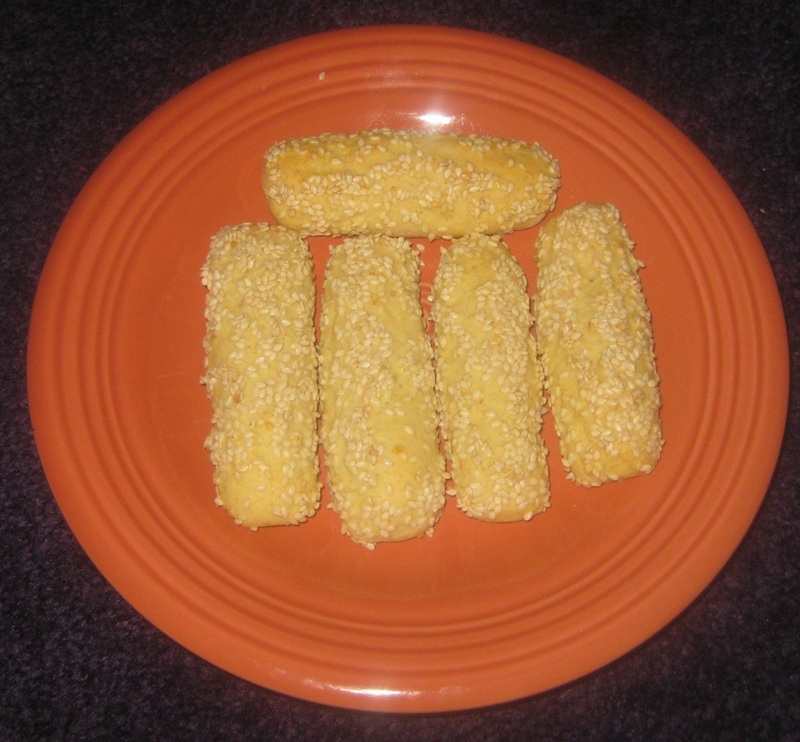 Children light up when they bite into these. 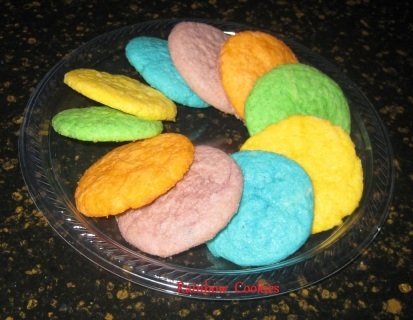 Each colored cookie tastes just like the color that it represents! Yummy! 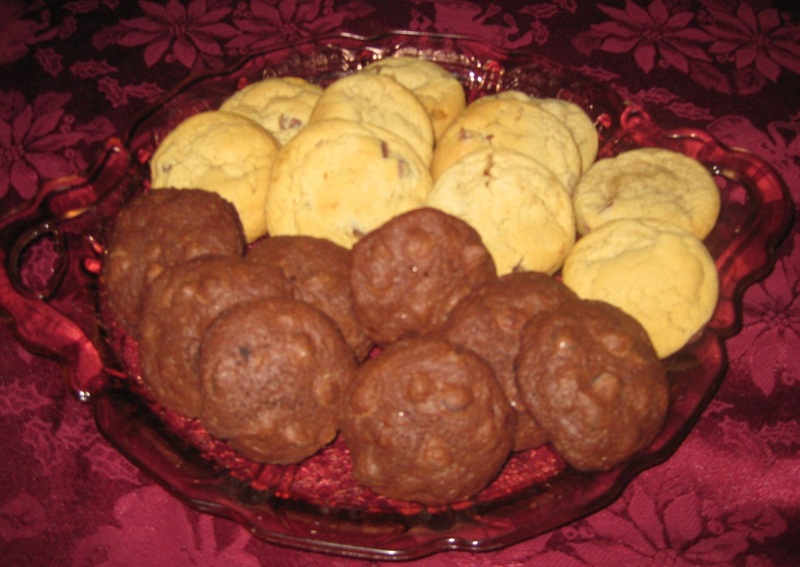 These devilishly rich cookies are sure to please! A light and cakey cookie that has just the right amount "crunch" to it with the sprinkles on top! 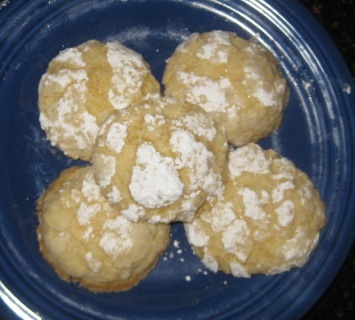 A delicious soft cookie that is made with ricotta cheese and provides hint of orange. 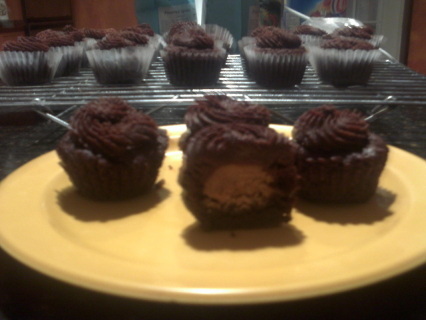 You definitely won't eat just one! 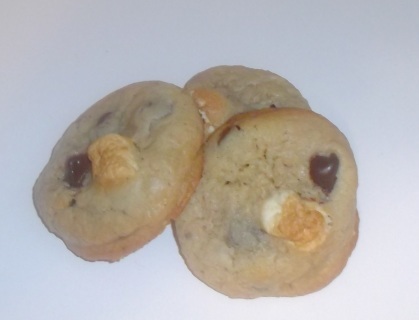 These cookies are just what you would think of when you think of the chocolatey goodness of S'mores, but better! Bits of marshmallow mixed with chocolate chips in a brown-sugar base! Yum! These delicious butter cookies are filled with Raspberry jam then pressed and "cemented" together with Chocolate and then dipped in sprinkles. 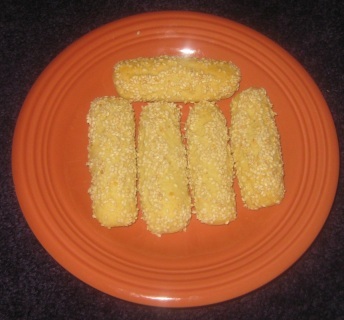 You definitely can't eat just one of these! Tantalizing butter cookies that are filled with Pineapple preserves and then pressed together with Chocolate and then dipped in chocolate jimmies. 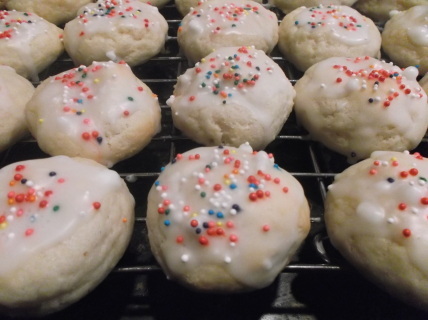 Sicilian Sesame Seed Cookies are one of those traditional Italian treats that seem to tickle the taste buds with just a slight hint of anise and orange flavoring. Annabelle's tasty, toasty and crunchy sesame seed cookies are sure to bring back memories! You have never tasted such a delicious thumb-print cookie! A thick buttery sugar cookie that is sure to tantalize your taste-buds with each bite. Filled with pineapple, blackberry and raspberry jams and then drizzled with white chocolate. A cake-like chocolate cookie that is flavored with coffee, cinnamon, and walnuts, and then topped with a rich chocolate frosting. 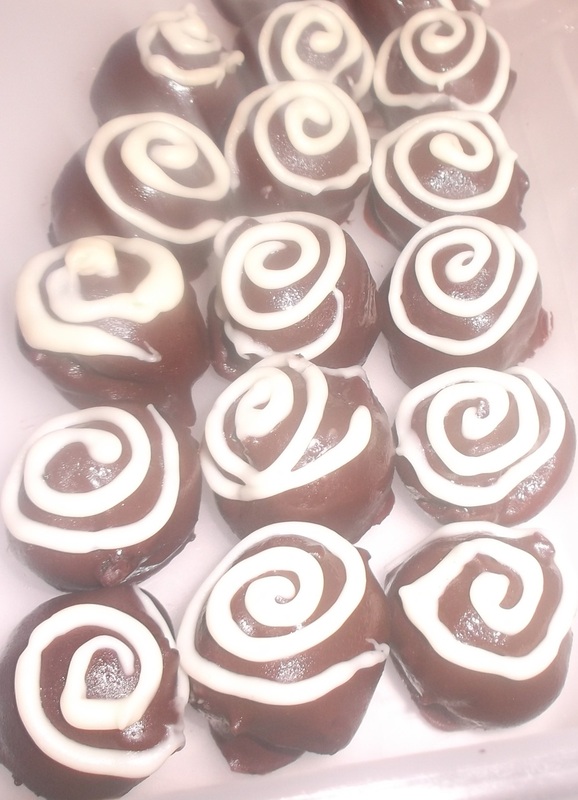 Can be made with or without Coffee flavor. Please specify if you would like yours without. Also known as the 7-layered cookie and Rainbow Cookie, everyone will certainly go crazy for these soft delicious Italian treats! 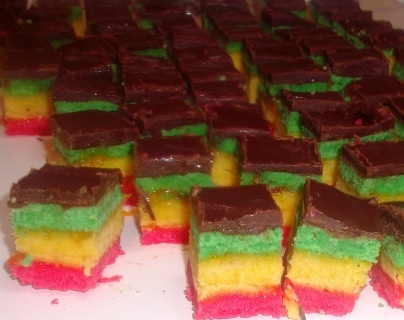 New Yorkers especially, love these delectable multi-colored cookies. Three layers of very soft moist cake flavored with almond paste that are then sandwiched together with an apricot and raspberry fillings and topped with a dark chocolate ganache. (Approx. cut into 1" x 1" squares). A melt-in-your-mouth butter cookie that is filled with a special blend of crushed pecans, almonds, and walnuts and then rolled in powder sugar. Annabelle's Cappuccino Truffles are truly sinfully delicious with just the perfect soft cappuccino center and hard-shell chocolate outside. 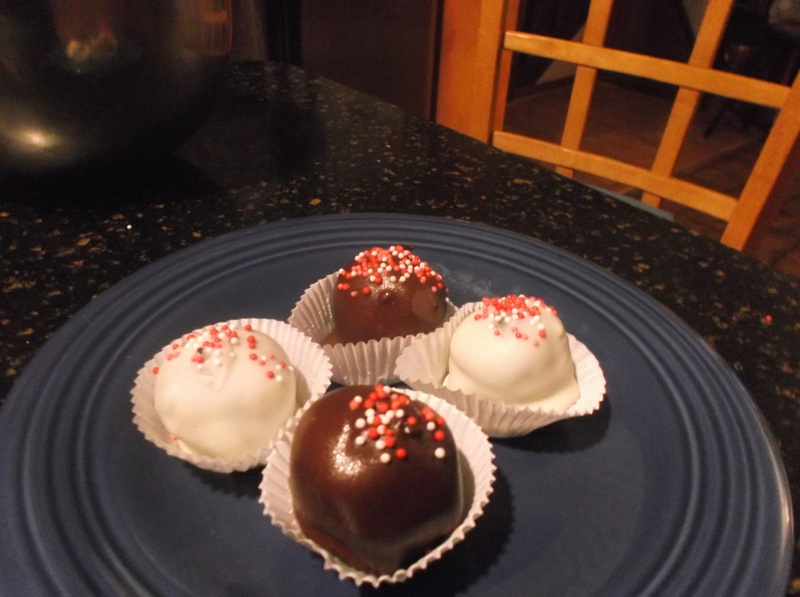 While these don't "explode" in your mouth, they certainly wake up your taste buds to an absolutely incredible treat! 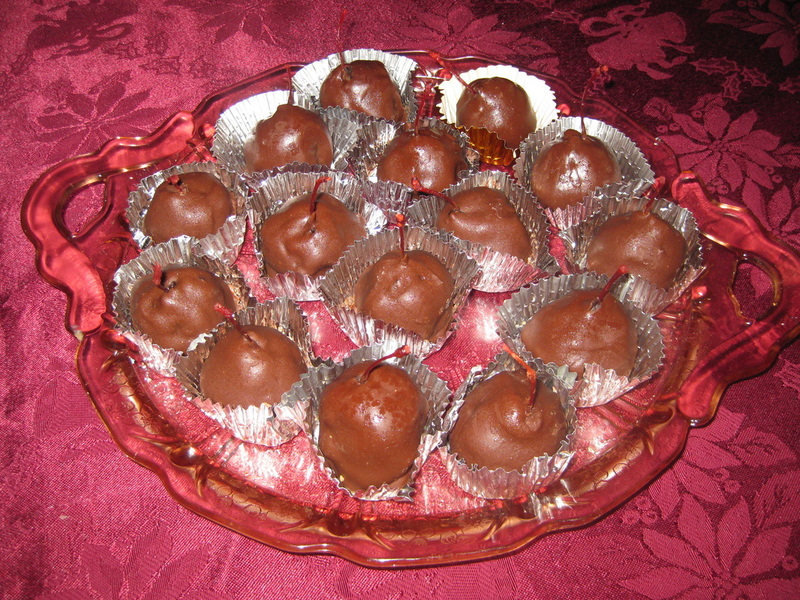 These truffle-type treats have a chocolaty brownie filling that surrounds a maraschino cherry and then is dipped in chocolate. Very rich! 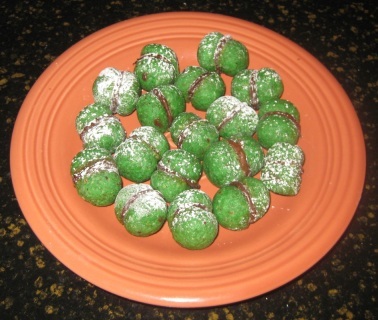 Your holiday guests will certainly go crazy for these! One of my holiday guests said he would actually trade his wife for them!! Annabelle's Rum/Amaretto Cake Truffles are made with rich dark chocolate cake and dark chocolate ganache. 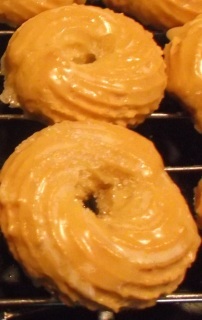 They are bursting with Rum-Amaretto flavor and are sure to be a big hit with everyone who loves Rum and Amaretto! These delectable little treats come packed with a whiskey punch! 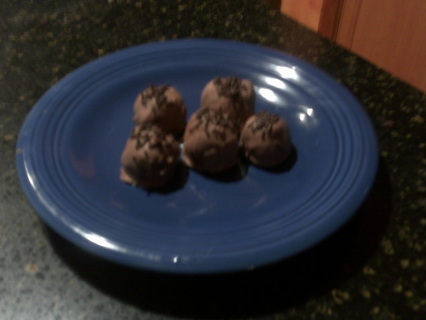 Black raspberry and whiskey inside Annabelle's special chocolate blended coating! 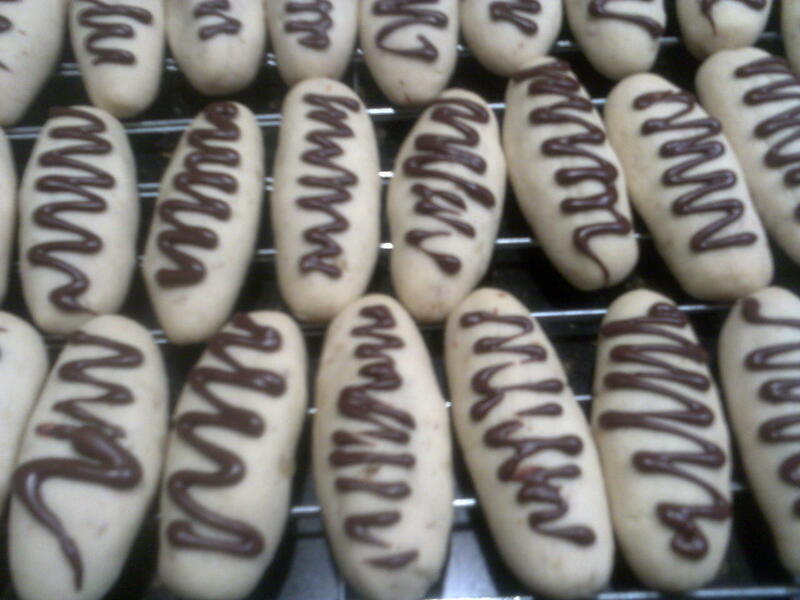 If you don't see a particular Italian Cookie, Italian Biscotti, or Italian Truffle here that you would like, please contact us. 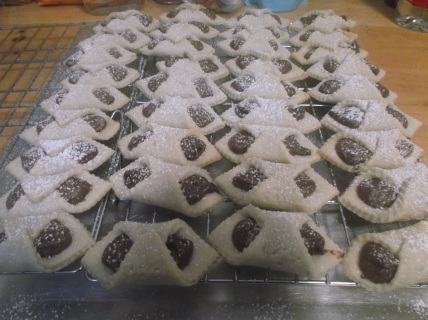 Annabelle is always adding other Italian Cookies, Biscotti and more to her Italian baking repertoire and it simply may not be shown.